What can you do to ensure success not only with your garden, but with your municipality and with your next door neighbors? So you’ve heard about monarch butterflies and pollinators needing our help in Oklahoma and you’re wondering how can you get involved. You might be surprised to learn that planting a garden is the easy part and that getting everyone aware and understanding why you planted one can sometimes be a more difficult task. Most people in general have heard of or know the basics about monarch butterflies and how they migrate and that they need milkweed to survive, but they may not realize how fragile the complexities are and the ecological balance of resources needed for this species to be successful year after year. Believe it or not, your garden design and communication with your neighbors also needs an important balance in order to be most successful. 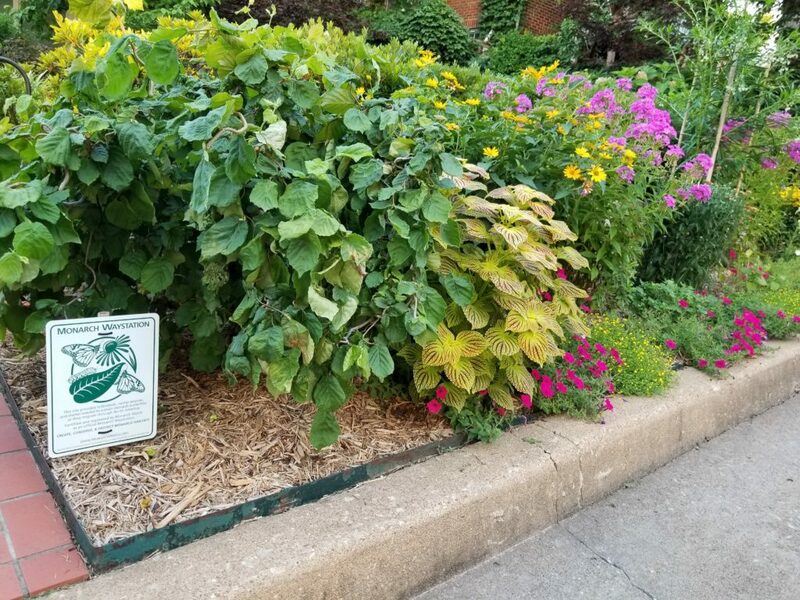 When considering planting a pollinator garden at your home, church or school it is important to be aware of municipal ordinances and also homeowner associations rules and regulations. 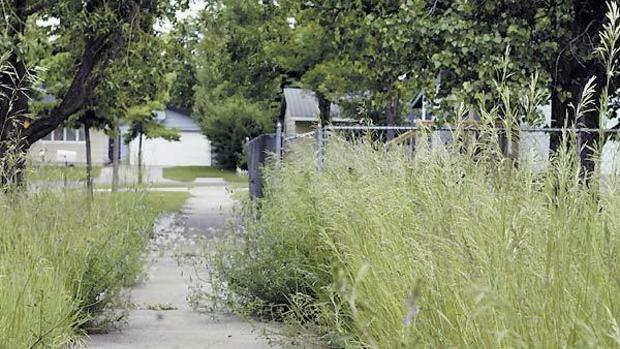 City governments are not typically concerned with the size or even what you plant, but more concerned with how it may impact the line of site for safety and encroachment onto sidewalks and streets. In general, it is best practice to just avoid planting near sidewalks or driveways in order to maintain these municipal guidelines and to avoid creating any public safety issues with visual or physical barriers from plantings. Every municipality is different when it comes to lawn maintenance and regulations, so contact your local city government to find out the details. Also, consider what type of rules there may be for yard maintenance and regulation with any homeowner association (HOA) within your neighborhood. Municipalities will always default to the HOA first when assessing a garden/yard and determining a compliance issue. If you follow the HOA rules (if there is one) and you’re in compliance with the municipality you live in, you should be fine. Then, all that remains is for you to be communicative with your neighbors. This should be done even before you start planting in your yard. According to city officials I’ve spoken with, most cases of neighbors reporting unkempt yards is from neighbors not knowing what it is they are looking at or even that is has a purpose. Let them know ahead of time what you will be planting, explain to them why it’s important to plant a garden for monarchs and pollinators and then take the time to explain or even show your neighbors pictures of the different phases of a garden throughout the year. Invite them to help plant your garden or offer to help plant one in their yard. Doing this can drastically help with your garden being the most successful and you’ll be pleasantly surprised in their interest, especially when they begin to witness all the beautiful plants and activity with the “King” of butterflies in your garden and with many other species of butterflies, hummingbirds and frequent visitation from other native pollinators. 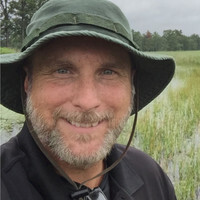 RICHARD KOTARSKY is the Curator of Conservation and Scientific Advancement at the Tulsa Zoo. An ambassador for many of the City of Tulsa’s stewardship and conservation initiatives, he played a major role in helping the Tulsa Mayor’s office sign the National Wildlife Federation Mayors Monarch Pledge. He is active in Monarch Initiative Tulsa and shares his knowledge and passion at community education events. Ric also plays an active role with the Oklahoma Monarch and Pollinator Collaborative steering committee and outreach work group.